On Saturday, November 26, the Oxford Police Department arrested Pierre Holton (21 of Cleveland, MS) for domestic violence-aggravated assault. On November 26, 2017, we received a call to the Connection about a disturbance. Once the investigation was complete Holton was arrested, taken to the Lafayette County Detention Center and given a bond of $1,500. On Tuesday, November 28, the Oxford Police Department arrested Bryan Brown (31 of Oxford, MS) for felony child abuse. On November 27, 2017, Investigators were notified of injuries to a small child. After the initial investigation Brown was arrested, taken to the Lafayette County Detention Center and given a bond of $100,000. On Tuesday, November 28, 2017 Investigators of the Oxford Police Department served an arrest warrant on Keyona Peery (23 of Oxford, MS) for malicious mischief. Peery was accused of causing damage to a person’s car. Peery was arrested, taken to the Lafayette County Detention Center and her bond was set at $1,500.00. On November 18, 2017 Investigators with the Oxford Police Department charged Brodrick Rogers (22) of Oxford, Mississippi with Auto Burglary. Rogers was accused of going inside a vehicle and taking an electronic device. His bond was set at $1,500.00. 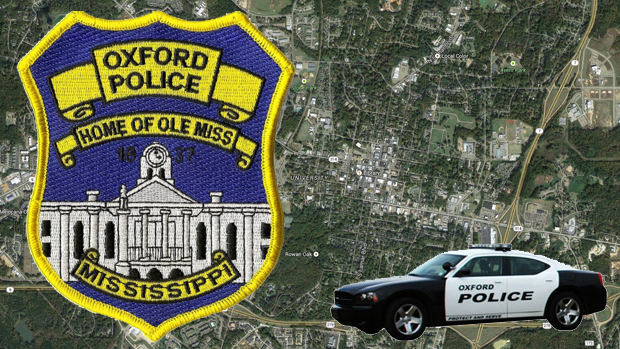 On Friday, November 17, the Oxford Police Department arrested Jonathan Tribble (39 of Water Valley, Mississippi.) for felony shoplifting. On November 17, 2017, the Oxford Police Department took a report from lost prevention at Walmart about Tribble trying to leave the business with over $1,000.00 worth of merchandise. Tribble was stopped by lost prevention until officers arrived and he was arrested. Tribble was given a bond of $1,500. On Friday, November 17, 2017 Investigators of the Oxford Police Department charged George Larry Gillam (52) of Abbeville, Mississippi with three counts of auto burglary, three counts of attempt to commit auto burglary, and two counts of credit card fraud. Gillam was accused of breaking into a car, stealing a debit card and he was charged with using that stolen debit card. Gillam was booked on auto burglary and felony credit card fraud. His bond was set at $100,000.00. Gillam had additional charges from another agency as well.